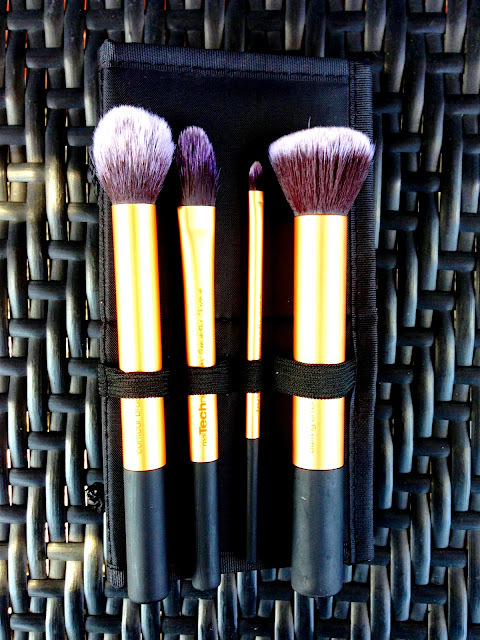 I have really looked forward to putting up this post because it is one of my favorite brush sets ever. 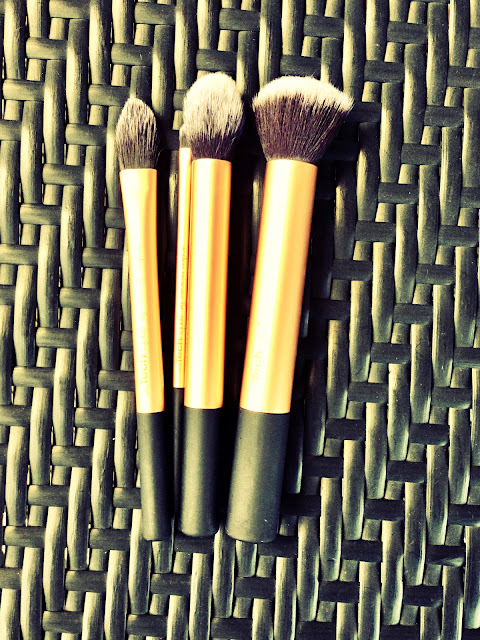 I am sure if you are beauty lover and regularly watch beauty gurus on Youtube, you would have come across the Real Technique Brushes. There were created by Pixiwoo (Samantha Chapman) who is one of the most popular Youtube Beauty Gurus because she has fantastic makeup tutorials and a brilliant Makeup Artist. I am not sure when this brushes were launched but they seem to have been around for a little while. 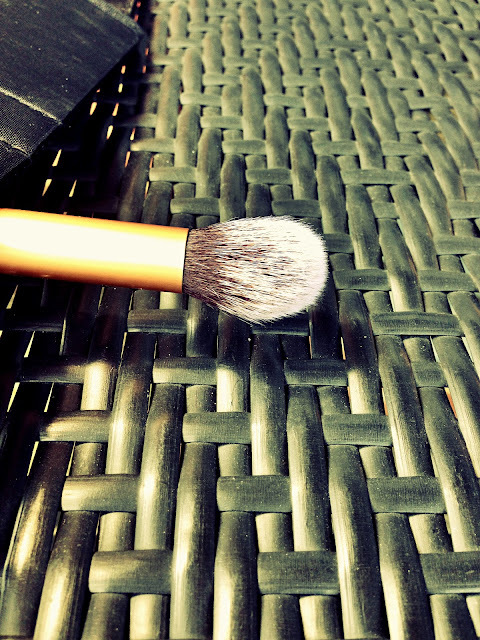 One of the main reasons these brushes have stolen the hearts of many makeup lovers is the fact that they are amazing, soft and have minimal shedding. Also, when a makeup artist creates a brush set/collection, I think it always turns better than the average random brush because makeup artists know what kind of brushes they would prefer and what areas are harder to reach by the average brush. I have been eyeing this brush set for a really long time and was waiting for it to go on sale but it never did. On my birthday, the BF surprised me with it. I was so happy because I didn't expect it at all and I thought it was such a sweet and thoughtful gift. Each time I apply my makeup, I apply it in love...hahaha, Just kidding :-). 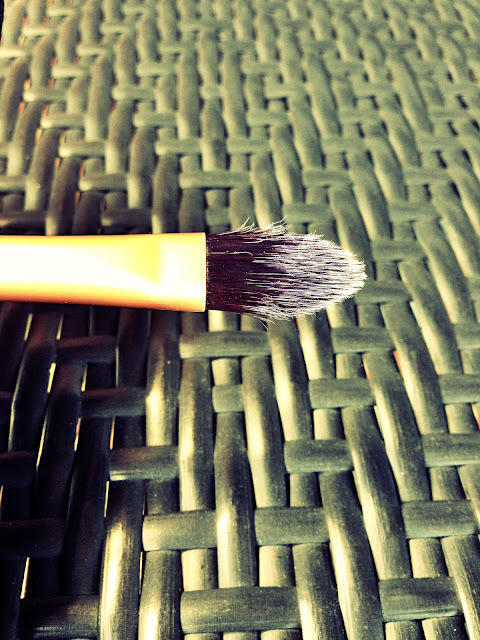 Using a brush to apply makeup gives a better flawless look. Of course, there are still some makeup products I prefer to use my hands for such as under eye concealer but my default way is to use brushes. The fingers and hands warm up many of the products and can actually ensure many makeup products look good on the face but they are rather messy so I always opt for my brushes. 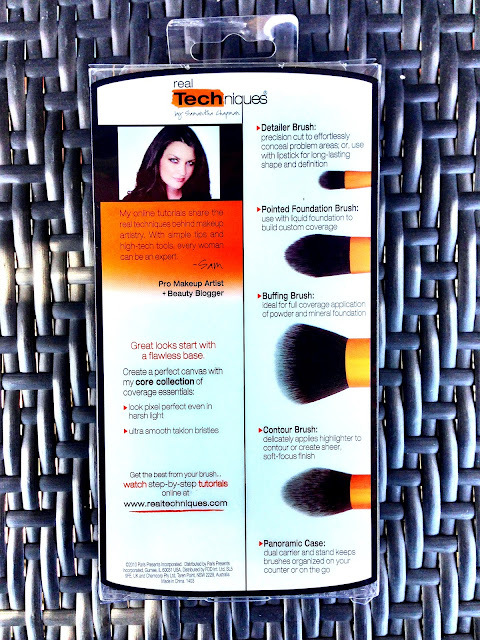 The real technique brushes have a variety of brushes ranging from face brushes, eye brushes, powder brushes, etc. Some of the brushes are sold individually but many of them are sold in brush sets. The Real Techniques Core Collection, as the name implies, is really a core collection of brushes to own especially if you are a beginner and you are trying to build up your makeup stash. Let's get started on this review, shall we? 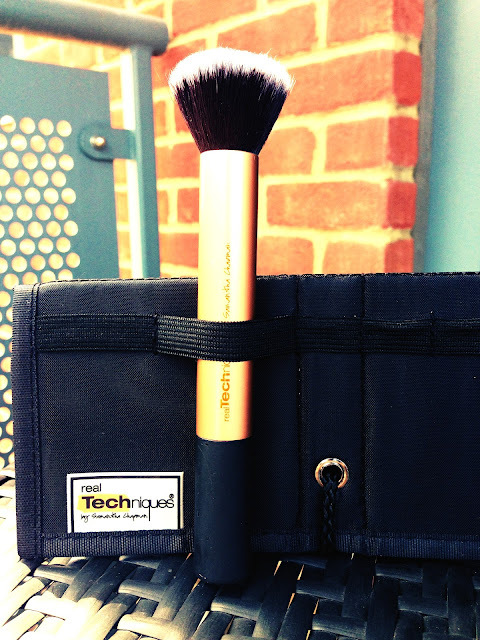 The Core collection is one of the Real Techniques' best selling brush and it consists of 4 brushes which are mainly face brushes to include the Buffing Brush (which is the bestest brush I have every used), Contour brush, Foundation Brush and Detailer Brush. 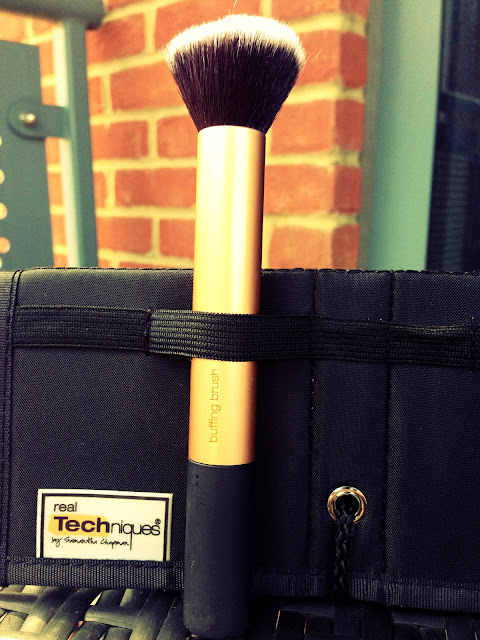 The main reason I was lusting after this collection was the rave about the Buffing brush. It has been raved about on every beauty social media you can ever think about and the sad thing is, it is not sold separately. I am glad in a way it isn't because I would have missed the opportunity of testing out the other wonderful brushes included in this collection. Not all the brushes in the Core Collection can stand on their own which made it a little difficult for me to take pictures but I still tried my best to make it work. 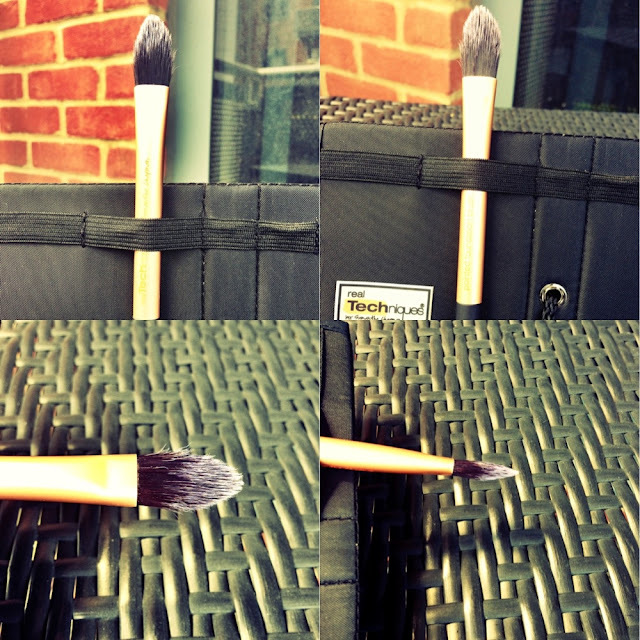 However, the individually sold brushes are all free standing. This always has to come first, doesn't it? I love the packaging because it is simple and realistic. 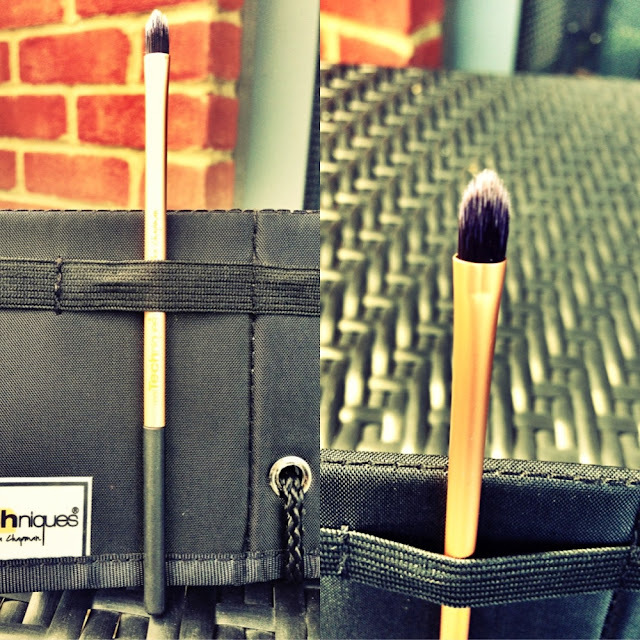 It comes in a panoramic case which is a black brush holder which can stand on its own. I think this is really practical because it serves both as a brush holder (for your dressing table and to hold the brushes after a wash) and as a travel pack. 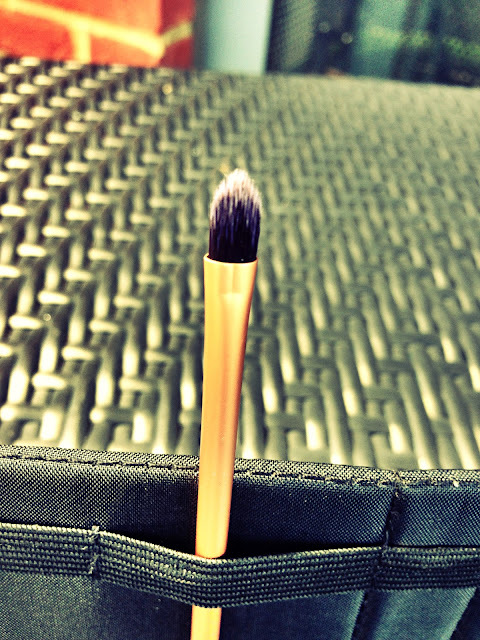 It helps keep the brushes in place and the good thing is, there is space for other brushes as well. 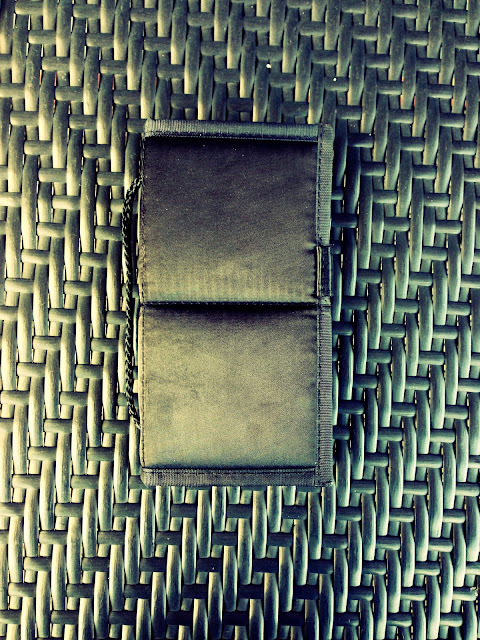 It is a brilliant little case and I love it. 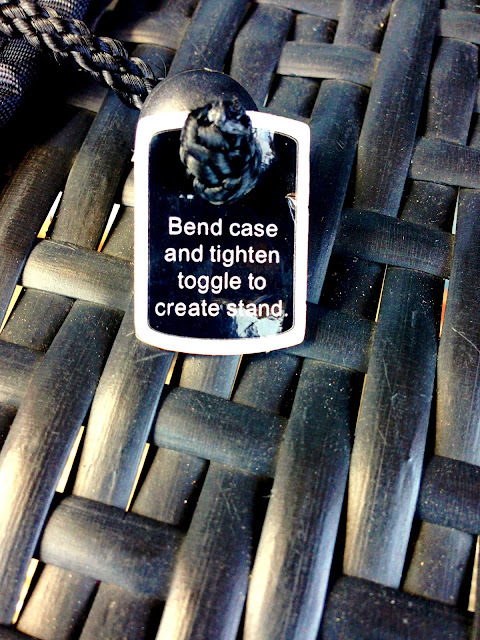 For it to stand, you need to pull the toggle behind and let it stand. Simple, practical and classy. 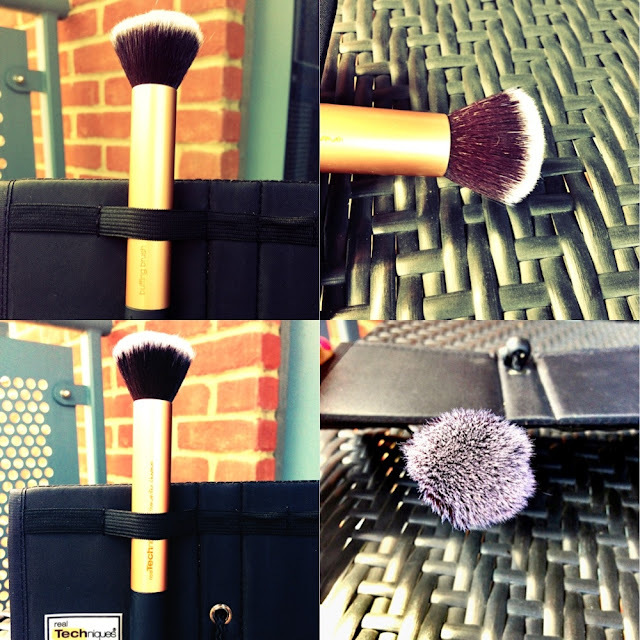 They are made of Taklon bristles which are synthetic therefore 100% cruelty free. 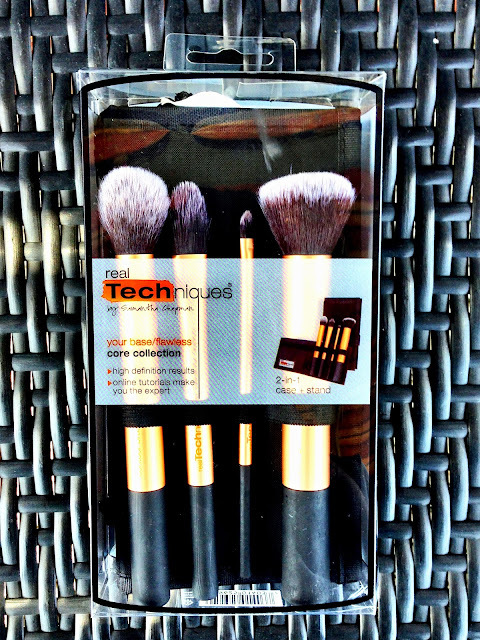 They are really the softest brushes I have ever used and always remain in shape after several washes. They feel very smooth on the face and always deliver perfect flawless results. You can be assured you would get no stray hairs on your face with these brushes. 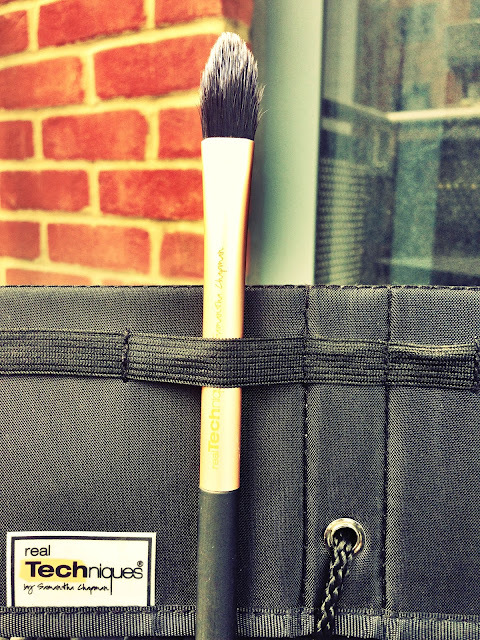 I have had these brushes for a full seven months and they are still as good as brand new. I think I am seriously besotted with how soft they are. Some brushes appear soft when you first buy them but after a few washes, they show their true rough textures. 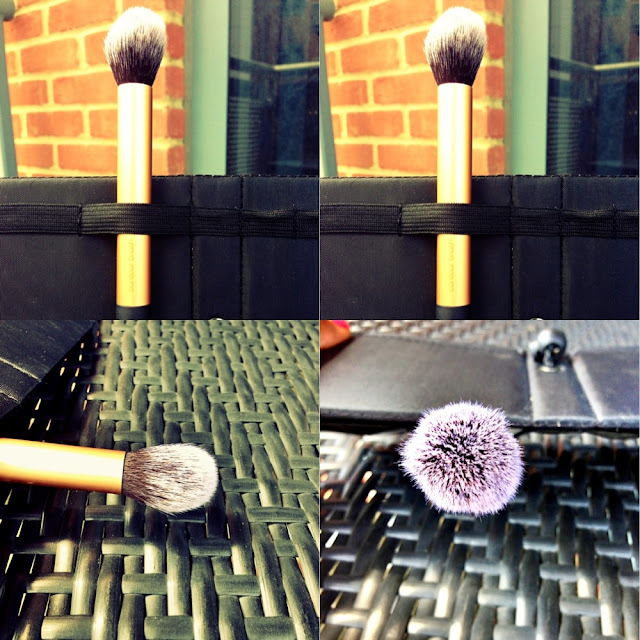 It is not the case with the Real techniques brushes as they seem to get even softer after each wash. 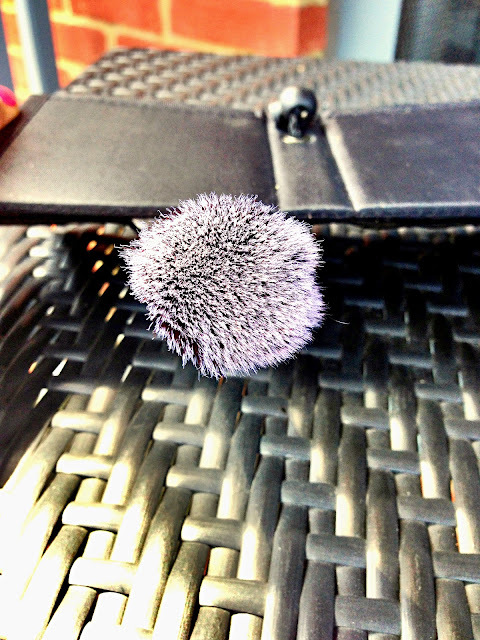 I have one naughty brush from another make up brush company which is also very soft but always leaves tiny pieces of stray hairs on my face while using it and it is the most off putting thing ever especially in the morning when I am dashing off to work. I am glad the Real Technique brushes don't give me any hassles at all when it comes to shedding. They are one of the few brushes i have used that have not shed. Amazing, isn't it? 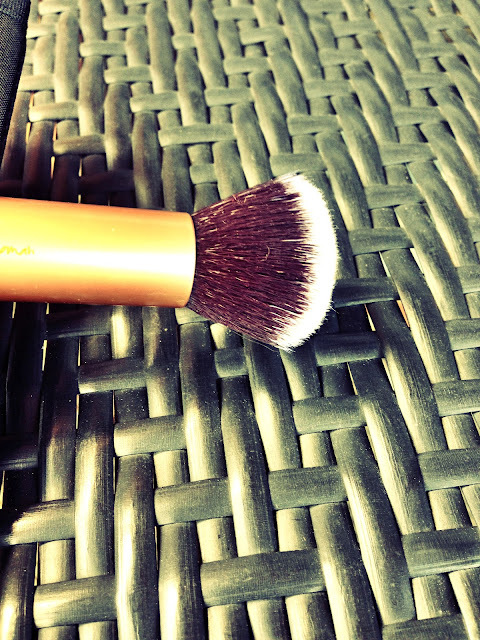 Due to its soft texture and unique shape, it always delivers a consistent flawless finish no matter what product and what brush I use. Sometimes, I think it helps bad foundation appear better because it evenly distributes the foundation all over the face and blends it in properly. 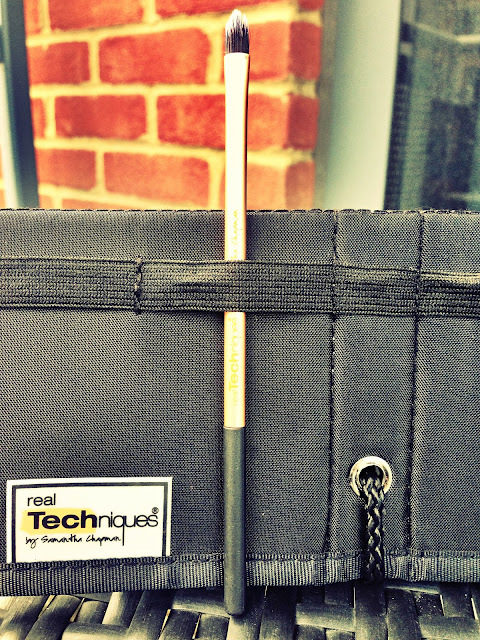 All the brushes have the Real Techniques logo on one side and has the name of the brush on the other end. I think the deep orange/burnt gold colour against black makes the core collection really look classy and elegant especially on my dresser. I think this is one of the most affordable brushes with great quality. It cost £21.99 for the Core Collection which can be bought either online in their Online store or in Boots. I think they are also sold in Super Drug. In the USA, you can buy them in Ulta but it can always be bought online from the Real Technique Online Store. Compared to many brushes out there, I think this is very affordable for the amount of brushes you get and the excellent quality the brushes have. This brush gives me life and it is by far one of my favourite brushes. I love it and I can understand why everyone has been raving about it. It is called a buffing brush but it should have been called "the all purpose brush" because I use this for everything. It is ideal for full coverage liquid foundation and mineral foundation. 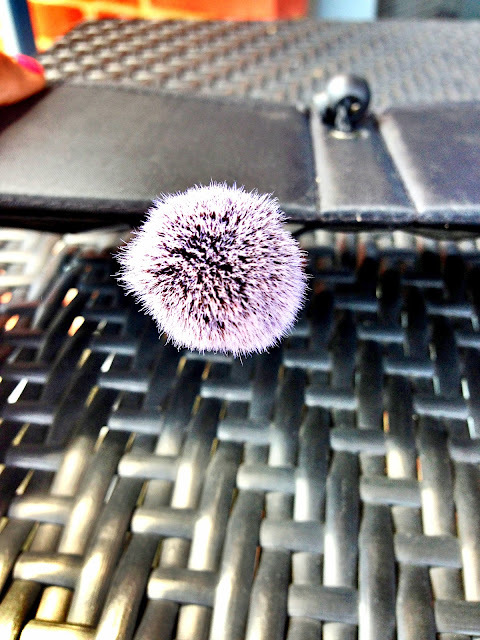 Its bristles are so soft and it always delivers a flawless finish. It may look small but don't underestimate its size as it works excellently and can cover a large area of the face easily. I use mine for liquid foundation, mineral foundation, powders, setting powder and sometimes for my blush (I was not kidding when I said it's all purpose for me). 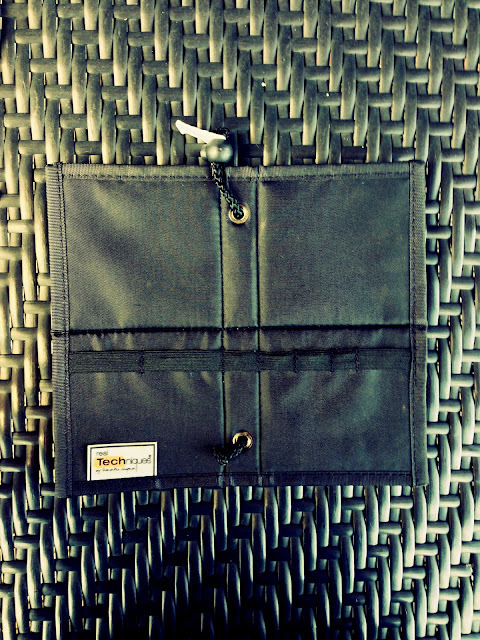 It is absolutely fantastic and I take it everywhere with me. I only wished it could actually stand on its own. Now this is meant to be the actual brush for the liquid foundation to deliver custom coverage which I believe it can. However, I don't use it for that because it is way too small for a foundation brush and I feel it may waste my time when the Buffing Brush is waiting to be used for that purpose. I use this to apply my under eye concealer and also to conceal any dark blemishes on my face. It is very good for concealing due to its pointed shape; it can get into those areas the Buffing Brush can't get into such as between my nose and near my eyes. 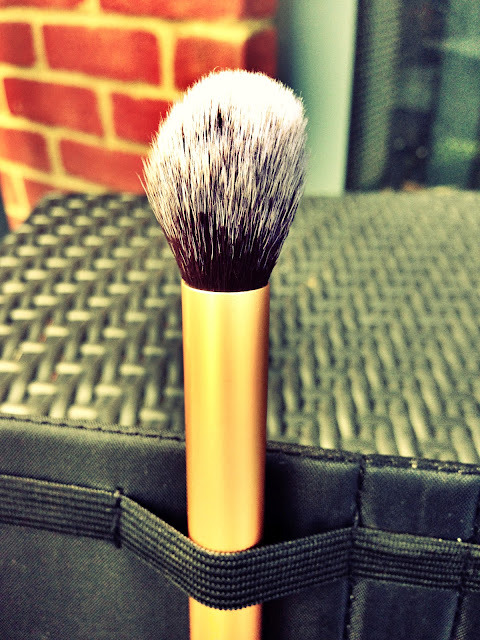 This is my favourite brush for applying my Bobbi Brown Foundation Stick reviewed here. 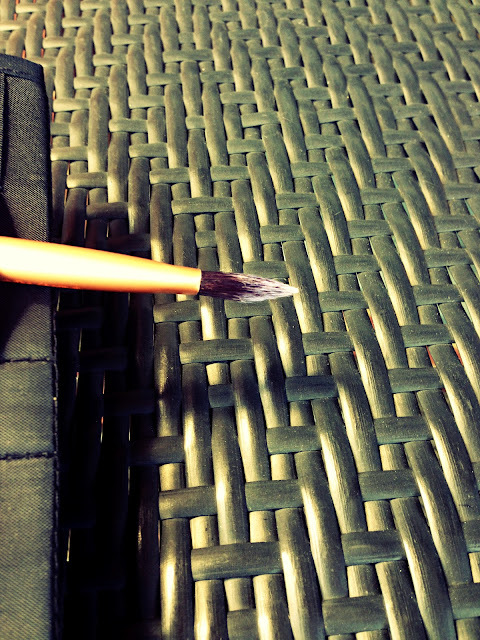 It is a lovely pointy brush which can reach many narrow areas. 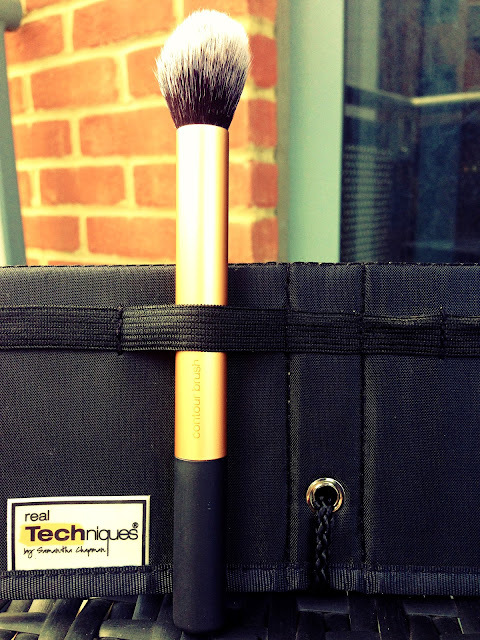 I love this dome shaped soft brush because it is excellent for contouring for me due to its dome shape. I know some people feel it is a bit too wide for contouring but I really don't mind because I contour really lightly and this brush is perfect for that. 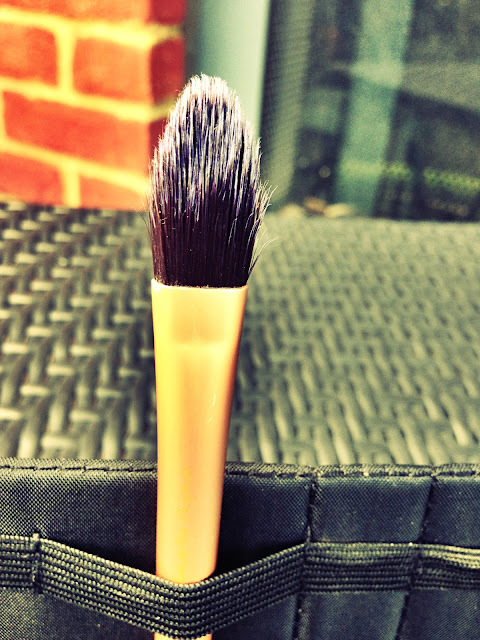 I also use this brush for my blush especially if it is a really pigmented blush as this picks up the colour very lightly and distributes it easily and evenly. It can also be used to apply highlighter on the face because it delivers a soft focus finish to the overall makeup. I did not have any particular use for this brush because the other brushes were adequate for applying makeup on my face. I think this is best for the eye area and I don't use a lot of eye shadows on a daily basis. But, I have started falling in love with this cute brush because it is perfect for applying popping colours to my water line. 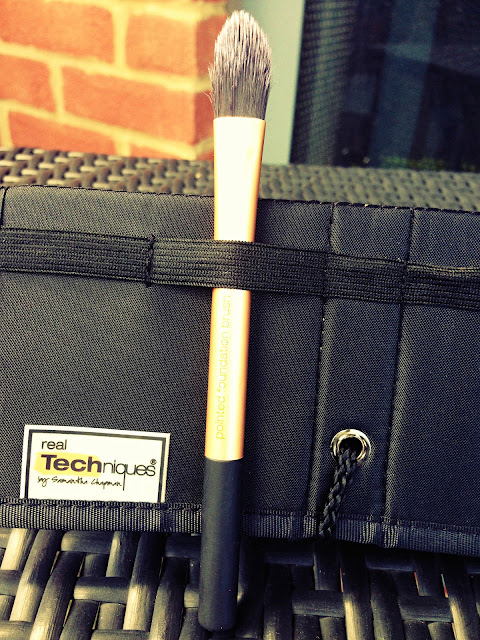 I use this to apply my Illamasqua Liquid Metal (Review here) and also to create a graphic smoky eye. It is really perfect for the really tiny areas where you just want a detailed and precise look. I think you can also use this to apply concealer to really tiny blemishes. This is also another brush that is multi-tasking. Indeed, almost all the brushes in the core collection can be used for more than one use. If the BF did not buy this, I would have definitely bought it because it is easily my favourite brush set/collection. I use these brushes everyday and I love them more every single day as I mentioned they seem to get softer and better with time; it's really surprising. I give this brushes an outstanding 9/10 only because I wished these brushes were free standing and some of them could be sold separately. 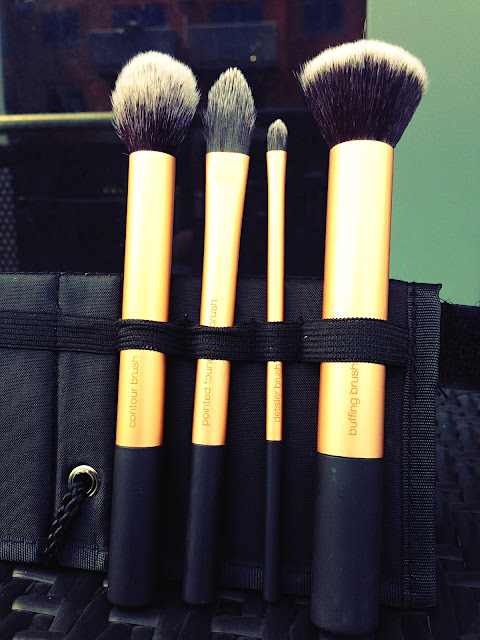 I love how durable, soft and flawless finish these brushes offer. 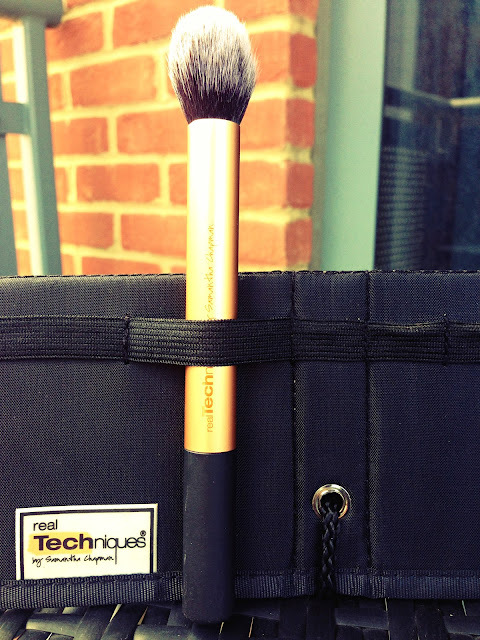 Have you tried any of the Real Technique Brushes out? 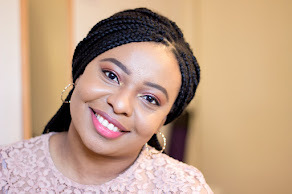 I hope you enjoyed this post and see you in my next post up soon...have a fab week ahead.